← It’s Friday and I’m bagged. Week 23. Literally bagged. During the summer months, flip flops are a staple in many wardrobes. 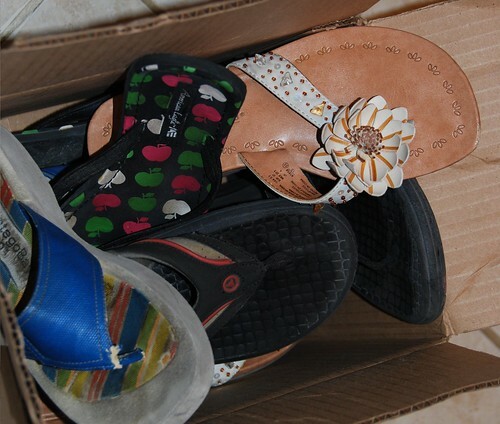 As fun and cute as flip flops can be, they become dirty easily and expose our feet to a variety of harmful bacteria. Now we all know that we should clean our sandals and flip flops but it’s often a task that gets put off. We recommend giving your sandals and flip flops a soak regularly to remove the dirt and oils and wash off some of the harmful bacteria. 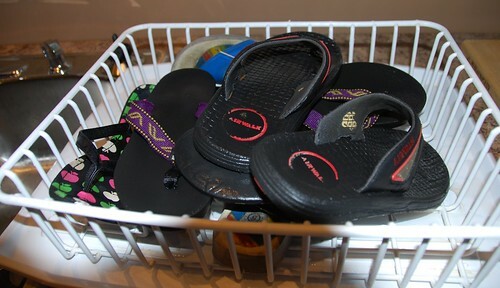 Chris gave her flip flops a quick and easy wash last week and photo documented it for us. Collect all your flip flops. I know you have more than one pair. Fill up a sink or basin. 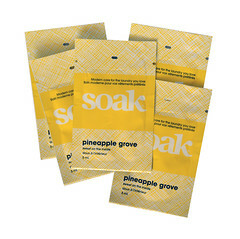 Add Soak. Add flip flops. Leave to soak for at least 15 mins. 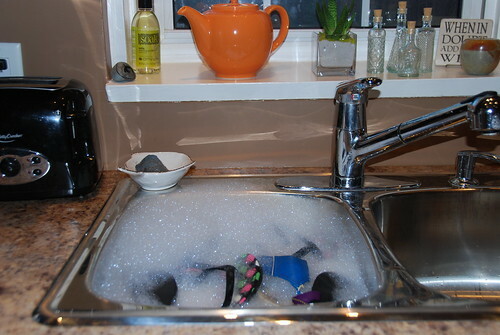 For extra dirty flip flops, put a little soak right on the shoe and scrub with a brush. Drain. You can leave them outside to dry or in Chris’s case leave them in a drying rack. It’s too bad she can’t actually wear any of them because of her cast.